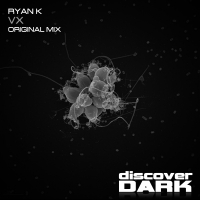 Ryan K is making a name for himself with an impressive discography across not just Discover and the latest addition to the Recoverworld family, but also with high profile labels including Rielism and Alter Ego. Vx is a pumping Ryan K excursion in the truest sense of the word with its throbing off beat bass and huge kick that dominates the bottom end in blissfully destructive style backed up by driving percussion and a hypnotic detuned lead that peppers the track with hypnotic intent. Ryan K knows what he's doing when it comes to hard tech trance and this is one of his finest examples. 'Vx' is available now from Beatport and iTunes.